ConvertMedia, the high impact breakthrough video ad solution for publishers and a leading outstream video SSP, today announced the launch of ConvertMedia Studio, the industry’s first DIY platform giving publishers an easy hands-on tool to manage and customize every facet of audience experience for each video ad format. Publishers choose from a full range of units with multiple size and location options. Appearance, behavior and ad settings can be quickly tailored from a list of options such as auto-play, sound, detachability and skippability. 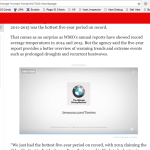 Popular format appears within text-based content at the top, bottom, middle or right rail of the page. Detach option lets the user scroll while completing the video view in the bottom rail. Offers skippable, pausable, and audio controls. Ready-for-action auto-play format is available in small, medium and large sizes that “slide in” from the bottom right or left corner after the page is fully loaded. Features include a mix of content and ads with full audio and exit controls. 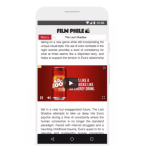 Desktop or mobile video ad unit appears on a given page after a set time (on page). When the view is completed (after 15 seconds) or if the user skips the ad, the page navigates back to the destination URL. Publishers use ConvertMedia to increase quality video inventory and revenue opportunities at scale.